Smart is the New Standard. 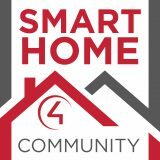 Purchase A Palladio Home And Get A Smart Home Package Standard! Welcome to a Connected Lifestyle. We designed with your family in mind. Copyright 2017 by Palladio Development, LLC. All rights reserved.